That truth is that the US is the biggest warmonger the world has ever known. Let’s start with its budget. The US, in fiscal year 2012, budgeted a total of $673 billion for the military, plus another $166 billion for military activities of other government departments, such as the nuclear weapons program, much of which is handled by the Department of Energy, or the Veterans Program, which pays for the care and benefits of former military personnel. There’s also roughly another $440 billion in interest paid on the debt from prior wars and military expenditures. All together, that comes to $1.3 trillion, which represents close to 50% of the general budget of the United States — the highest percentage of a government budget devoted to the military of any modern nation in the world — and perhaps of any government of any nation in world history. That spending also represents the world’s biggest percentage of national gross domestic product (GDP), a measure of all economic activity in a nation, devoted to the military. Looking at the other countries with big militaries — China, Russia, Britain and France, not only does one not even come close in terms of the percent of GDP spent on its military, but taken together, all of their military expenditures combined total less than half what the US spends by itself. Since the late 1960s, the US government has engaged in a sleight-of-hand to hide the scale of its military spending from the American people. It has done this by adding to the federal budget the amount of money spent on Social Security and Medicare, the health insurance program for the elderly and disabled. This is not a correct accounting however, because both of those programs are actually funded by a separate payroll tax paid by employees and employers which are accounted for as trust funds with the money actually allocated to the accounts of the individual citizens who receive or will receive benefits from the programs. Using that fraud, the government and the politicians are able to claim that the US “only” spends 24% of the budget on military. Even that would be far above what is spent by any other nation in the world, but it is actually only half of what the US really spends as a share of its general budget. One reason the US military budget is so huge is that the US operates some 900 bases abroad, in what amounts to a program of global empire. It is estimated that the cost of keeping those bases operating is about $250 billion. Empire costs a lot more than that though. There’s also the cost of operating a global fleet of ships, including incredibly costly aircraft carrier battle groups. That cost, surely in excess of $100 billion when the cost of the ships is factored in, doesn’t get broken out by the Pentagon. Then, there is another way the US is the world’s biggest warmonger. This is in its role as the world’s biggest arms merchant. In 2011, the US sold more than $66 billion in arms to the rest of the world, often, as in the case of India and Pakistan, or India and China, or Israel and Egypt and Saudi Arabia, selling weapons to countries that are mutually hostile to each other or even, as in the case of India and Pakistan, in a state of active conflict along their border. That $66 billion — an all-time record for the US — was an astonishing and depressing 78% of the global arms market for the year. Russia was the second biggest arms dealer, selling only a paltry $4.8 billion in weapons to the rest of the world. None of these weapons the US is selling makes either the US or the world any safer. Indeed, two of the biggest recipients of US military “aid” and weapons sales are Saudi Arabia and Israel. The Saudi regime last year purchased $30 billion in arms from the US. Meanwhile the US has been providing Israel with $3 billion in outright military aid each year for years. Israel also buys billions of dollars in weapons from the US each year. Saudi Arabia is a dictatorship and a promoter of instability within Syria, while it also props up dictatorships in countries like Yemen and Bahrain. In other countries, like Israel or Colombia, US aid encourages military actions which could lead to conflicts that would inevitably draw the US in as a participant. The truth is that none of America’s military spending makes the US safer. One doesn’t see fanatics traveling to Brazil or China or New Zealand to blow things up. One reason is almost certainly that those countries aren’t stationing their troops within other countries’ borders, and aren’t selling weapons to countries that threaten their neighbors. The US government tells Americans that all that money they are spending on the military is designed to “protect” them from harm. In fact, the evidence over the years is that it is making Americans more vulnerable and less safe. Not only that, but the wars that the US has started over the years — in Indochina, in Iraq, in Afghanistan and elsewhere — have led to the deaths of tens of thousands of young Americans (and of course to the deaths of millions of people in those countries, most of them civilians). Most of the rest of the world isn’t fooled by American government accounting tricks. Being at the barrel end of the gun, people of other countries know how US military spending is a primary cause of war and terror in the world. But we Americans ourselves need to wake up to the massive damage that our military-obsessed political system is doing to our country, lest it ultimately destroys us. There is a clear reason that social programs in the US are threatened, that the economy is in a prolonged depression, that our education system is collapsing, and that our standing in the world has plummeted. It is our militarism, and the incredible amount of the national wealth that is being spent on it. Senior Iranian lawmaker Javad Jahangirzadeh says the International Atomic Energy Agency (IAEA) has not fulfilled its responsibilities regarding the confidentiality of information obtained from Iran. “The IAEA is obliged to protect the information about the nuclear activities of [its] member states but it has not fulfilled its responsibility regarding Iran and has transferred Iran’s nuclear information to the country’s enemies,” the member of Iran’s Majlis Presiding Board said on Saturday. “[IAEA Director General Yukiya] Amano’s repeated trips to Tel Aviv and asking the Israeli official’s views about Iran’s nuclear activities indicates that Iran’s nuclear information has been leaked to the Zionist Regime [of Israel] and other enemies of the Islamic Republic,” Jahangirzadeh added. “If the agency’s actions lead to Iran cutting cooperation with this international body, all responsibility will be with the IAEA director general,” the Iranian lawmaker said. Iran argues that as a signatory to the nuclear Non-Proliferation Treaty and a member of the IAEA, it is entitled to develop and acquire nuclear technology for peaceful purposes. The IAEA has conducted numerous inspections of Iran’s nuclear facilities, but has never found any evidence of diversion in Tehran’s nuclear energy program toward military purposes. KABUL – A top Chinese security official on Saturday made a surprise visit to Afghanistan, the first one by a Chinese leader in nearly half a century. Zhou Yongkang, a member of the Standing Committee of the Political Bureau of the Communist Party of China (CPC) Central Committee, arrived at Kabul airport late in the afternoon. Zhou, who is in charge of security and justice affairs, had planned to go to Turkmenistan. It marked the first time in 46 years that a Chinese leader set his foot on the soil of Afghanistan, a war-torn country neighboring China. The last visit was made by late Chinese leader Liu Shaoqi in 1966 when he was the President of China. The country is still the front line in the U.S.-led war against terrorism and undergoing daily bombing and bleeding. In Kabul, Zhou held a meeting with Afghan President Hamid Karzai. “It is in line with the fundamental interests of the two peoples for China and Afghanistan to strengthen a strategic and cooperative partnership, which is also conducive to regional peace, stability and development,” Zhou was quoted as saying in a written statement released by the Chinese delegation upon his arrival. Zhou said the Chinese government fully respects the right of the Afghan people to choose their own path of development and will actively participate in Afghanistan’s reconstruction. China and Afghanistan established diplomatic relations in 1955. The two countries decided in June to upgrade their ties to the level of a strategic and cooperative partnership at a meeting between Chinese President Hu Jintao and Karzai in Beijing, marking a new step for the development of bilateral relations. TEHRAN – The US denied entry visas to two Iranian ministers and other members of the delegation accompanying President Mahmoud Ahmadinejad to attend the UN General Assembly meeting in New York. The US State Department refrained from issuing visas for 20 officials of the 160 people for whom the Iranian government had demanded entry visas two months ago. The US didn’t issue visas for two deputies of Iranian President’s Chief of Staff Esfandiar Rahim Mashayee as well as two ministers of President Ahmadinejad’s cabinet. The US has several times denied entry visa to Iranian officials for UN General Assembly meetings, showing the necessity for a change in the venue of the meetings of the world body, which requires attendance of the representatives of all the world states. Ahmadinejad and his accompanying delegation left Tehran for New York at the head of a delegation today in a bid to attend a UN General Assembly meeting and hold talks with senior heads of state who will participate in the meeting. Over 150 security officers will guarantee President Ahmadinejad’s security during his stay in New York. President Ahmadinejad will address the UN General Assembly which is due to start on September 25. Since taking office, Ahmadinejad has attended all annual UN General Assembly meetings. This year Ahmadinejad will also attend the meeting as the rotating president of the Non-Aligned Movement (NAM). He also is also scheduled to attend bilateral talks with several of his counterparts on the sidelines of the UN General Assembly meeting. Ahmadinejad is also set to meet American university students, artists, intellectuals and elites despite the ongoing efforts made by the pro-Zionist lobbies to prevent direct link between American people and the Iranian president. He has also accepted the interview requests made by several news networks, including CNN, CBS and Russia Today (RT). President Ahmadinejad has, thus far, visited New York seven times to attend the annual UN General Assembly meetings since he ascended to power in 2005. But this time, he will attend the meeting not just as Iran’s President, but as leader of the 120-nation NAM. This will be Ahmadinejad’s last visit to attend a UN General Assembly meeting as Iran’s president since he will step down presidency in the next 10 months at the end of his second term in office. Ahmadinejad’s visits to New York to attend the UN General Assembly meetings have become a source of concern for the US officials ever since his 2007 visit led to a landmark speech at the Columbia University on the sidelines of the 62nd annual meeting of the United Nations General Assembly. He gave an outstanding speech about the US, Israel and the existence of the Holocaust when he visited the campus in 2007 for a talk, and he was given repeated applause by thousands of the audience who filled the campus site and the nearby streets up to Broadway. Recently, President Obama imposed new sanctions on Iran which according to reports have been very effective, causing a sudden major devaluation of Iran’s currency. The Iranians correctly understand that they are under attack, and have threatened to respond by closing the strait of Hormuz, through which a large percentage of oil from the Mideast flows to the global economy. If the crisis deepens and Iran makes good on its threat to close Hormuz, there is little doubt that the US will intervene to reopen the strait. This will lead to a shooting war for which Iran will be blamed, even though the recent US sanctions were tantamount to overt aggression. I believe the US will exploit the situation to attack Iran’s nuclear facilities. But, even more importantly, the US will target Iran’s conventional missiles. Indeed, I believe this is the real reason for US sanctions in the first place, and for the buildup of tensions in recent days. Despite public perceptions, and all the rhetoric about nukes, the present crisis has nothing to do with Iran’s alleged nuclear weapons program. In my opinion, that is just a cover story. In short, Iran has achieved a conventional deterrent to Israel. Therefor, statements by Iranian officials that Iran has no nuclear weapons program are in my view probably correct. Presently, Iran does not need nukes to deter Israel. It can do so with its GPS-guided medium range missiles. The Israelis are no doubt gnashing their teeth over this, because they now find themselves threatened by their own WMD stockpiles, and by their own nuclear reactors, especially Dimona, all of which have become targets. A few direct hits by Iran could cause a toxic plume, killing thousands of Israelis. A worst case might signal the end of the Jewish state. It is important to realize that Iran would never launch a pre-emptive strike on Israel because the Iranians know that the US/Israeli response would be devastating. However, if Iran comes under attack first, all bets are off. Iran will defend itself. A counter attack on Israel cannot be ruled out because Iranian leaders understand clearly (even if the American people do not) that the crisis has been manufactured, on Israel’s behalf. From the Israeli standpoint, the present Iranian deterrent (though conventional) is simply unacceptable. Israel’s military strategists have always insisted on total freedom of movement. This is why Israel refused a US offer many years ago to sign a defense pact with the US. Such a treaty would have limited Israel’s freedom of movement, and this was unacceptable. Israel’s leaders preferred to remain independent. Israel has always insisted on the “freedom” to intimidate its neighbors, whenever and howsoever it chooses. Iran’s conventional missiles now curtail that “freedom.” Israeli officials probably worry, for example, that Iran’s conventional missiles would limit its freedom to attack Hezbollah in Lebanon, in a future conflict. Hezbollah is closely allied with Tehran. I believe the present crisis has been manufactured to create the pretext for a US air campaign to take out Iran’s conventional missile sites. The US will also target Iran’s nuclear facilities, but the primary target will be Iran’s conventional missiles. The US will be doing Israel’s bidding. The Zionist tail will be wagging the servile US dog. Obviously, you can’t generate public support for such a bombing campaign, on Israel’s behalf. Hence the cover story about nukes and the alleged Iranian threat to wipe Israel off the map, all of which is untrue but very effective propaganda nonetheless. The problem for the US is that depriving Iran of its conventional deterrent will not be easy to accomplish. Indeed, it will be even more difficult than taking out all of Iran’s nuclear facilities. Iran’s conventional missiles are probably dispersed widely. If they come under attack, the purpose of the air campaign will be transparently obvious to the Iranian leadership. Faced with the prospect of losing their deterrent, the Mullahs may well decide to fire their conventional missiles. If they do and manage some direct hits on Israel’s nuclear-bio-and chemical weapons stockpiles, the ensuing disaster will prompt an Israeli response. Israel may even resort to the Samson Option, and attack Iran with nukes. Words cannot describe the horrific scale of such an outcome. Unfortunately, it is all too possible. Early in the war, US naval forces in the Gulf will also come under attack. No mistake, Iran has enough anti-ship cruise missiles to pose a grave threat to the US naval presence in the Gulf. Thousands of US sailors are now in harm’s way, and at risk. We must rally to prevent such a war. Peace activists must now marshal every asset for peace that we possess. The American people need to know the truth. This is a phony crisis. Yet the danger is very real. Now is the time to speak out with all of our strength. Tomorrow could come too late. The Tel Aviv regime says it will not accept any changes to the 1979 Egypt-Israel Peace Treaty, as the ties between the two sides continue to sour. 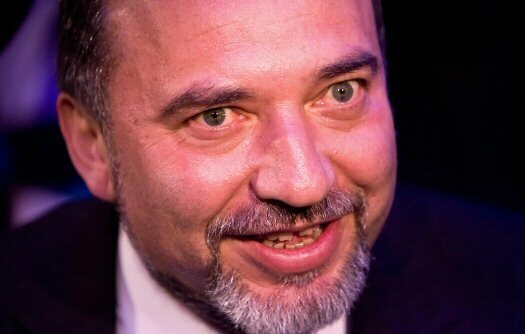 “There is not the slightest possibility that Israel will accept the modification of the peace treaty with Egypt,” Israeli Foreign Minister Avigdor Lieberman said on Sunday. The 1979 peace treaty was signed following the Camp David Accords, agreed upon by then Egyptian President Anwar al-Sadat and then Israeli Prime Minister Menachem Begin on September 17, 1978, at Camp David in Washington DC. “We will not accept any modification of the Camp David Accords,” Lieberman further said. Lieberman’s comments come amid speculations that Egypt’s President Mohamed Morsi will seek alterations to the agreements. Tensions have been simmering between Cairo and the Tel Aviv regime over the security of the Sinai Peninsula and the heavy deployment of Egyptian forces to the region. Egypt boosted its military presence in the Sinai after militants killed 16 Egyptian border guards on August 5. However, the Camp David treaty limits the number of Egyptian troops that can be present in the territory. Lieberman also stated that Egypt should fulfill its obligations in the peninsula. Tel Aviv has warned Cairo to pull out the military reinforcements from the region. As they called for regime change in Syria, some 15 opposition parties rejected foreign interference in the ongoing crisis in the country. During the “National Conference for Rescuing Syria” which was held on Sunday in the capital, opposition figures discussed peaceful ways to end the conflict and help unite the fragmented opposition. Sunday’s meeting at a hotel in Damascus was held under tight security and on the initiative of the National Coordination Committee for Democratic Changes in Syria. The ambassadors of Russia, China, Iran and some Arab states that have maintained their diplomatic presence in Syria were also attending the forum. The conference’s main aim is to secure an “immediate ceasefire” by the conflicting parties and “transfer the armed conflict between the authorities and the opposition into a peaceful political process,” Russian Ambassador to Damascus Azamat Kulmukhametov said in his address to the forum’s participants. “We are convinced that a dialog without preconditions is the sole way out of the current crisis whose continuation bodes no good either for Syria or for the region as a whole,” he said. The Arab media have reported the opposition conference will discuss a change of the current Syrian regime, a transition to a civil democratic state and the dangers of the forceful scenario in the country. The Damascus conference is being held amid disagreements inside the Syrian opposition, with some opposition activists and groups boycotting its work.